Who's going to the Koko gig? Any consensus or recommendations for hotels? Booked the "Hub by Premier Inn" at King's Cross - cheap and simple! 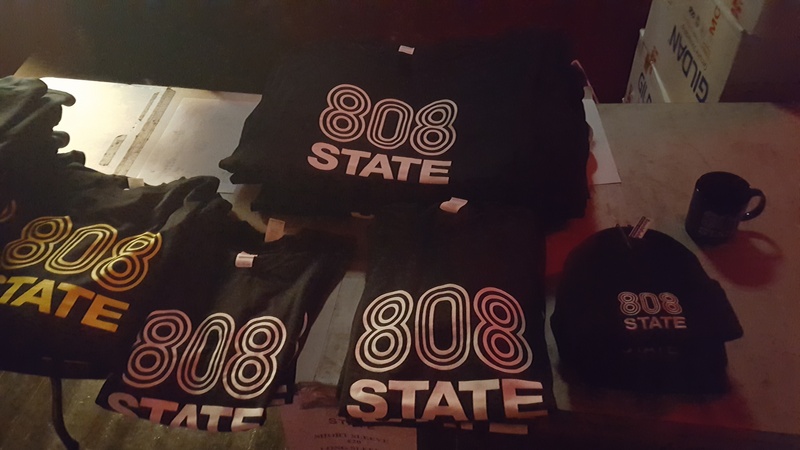 Oh, Btw, it's listed as an "early gig" on Koko's website - 808 on at 8pm or earlier? Flights and The Hub booked for a couple of nights! I'll probably just use the hotel to drop off my suitcase, and then check out afterwards! I'll await Pete to put up a setlist (which will need additions from Graham, as they played at least 3 or possibly 4 new songs which I'd never heard before)! This will probably wait until after the tour so as not to spoil anybody's enjoyment. 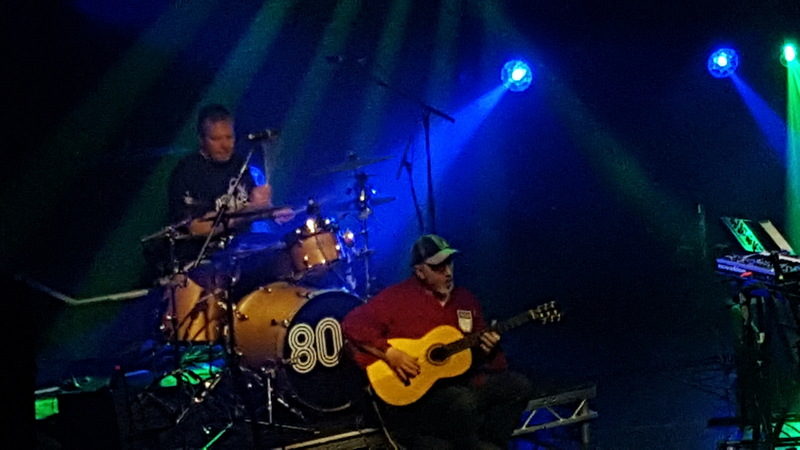 In summary, a great gig - met up with Pete, Treo (and Sinead), plus some of my friends (Sid, Neil, and Paul). The venue was fairly packed (probably about 80%+ full), and the atmosphere was rockin'. 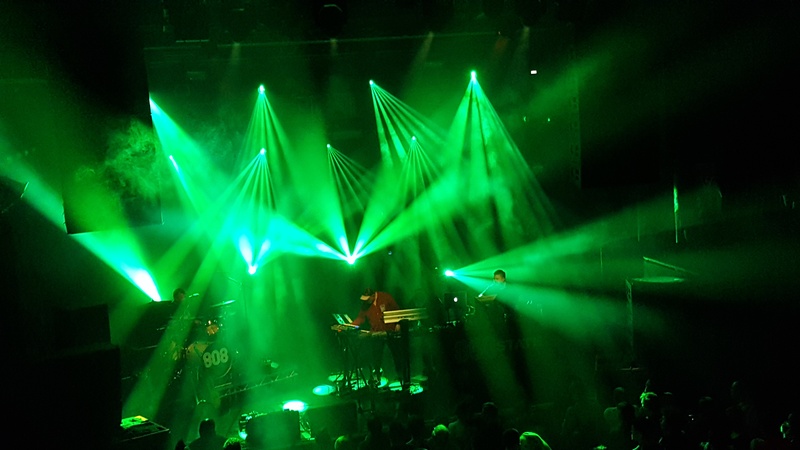 Caught a bit of Jackson/Harvey's early DJ set - they got the crowd in the mood before Lone played a lovely DJ set (mixing in some of his own tracks with some classics, including Orbital's "Speed Freak" which was surprise)! 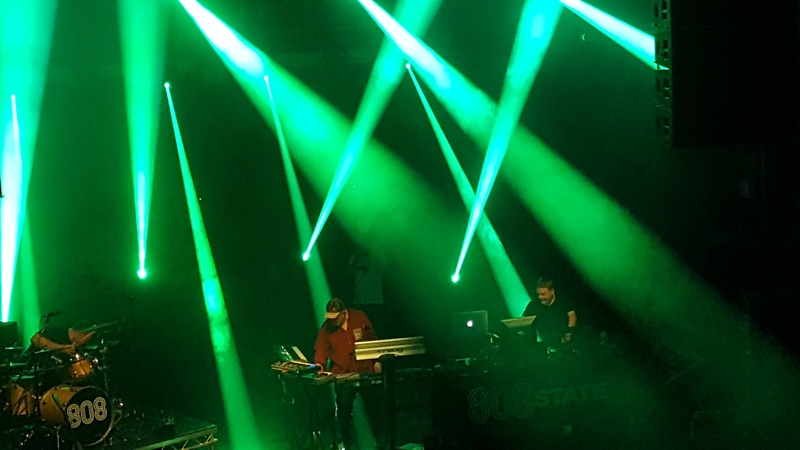 808 State played for about 80 minutes with full-on lasers - Graham, Andy and Carl (on drums). Classics were mixed with 3 or 4 new songs plus songs not played for a long time (some very nice surprises). I grabbed a beanie on Friday! That's a tune. Nice string melody at the 1 minute mark. So, what was the setlist, then? Surely it is safe now to spill the beans. Any news on the new album?